Camp Directors and counselors – we know you’re always looking for new summer camp activity ideas to keep your kids occupied. Outdoor lasertag provides a great way to get all your campers involved, and because the team at Lasertag New Jersey is used to handling large groups, we can take on summer camps of virtually any size. Lasertag New Jersey is the perfect match for day camps. With mobile lasertag we bring the game to You. Our staff will set up the field with bunkers and facilitate the games. Our equipment is designed to be used day, night, outdoors or indoors. Our mobile lasertag is an all-inclusive camp activity that will supplement traditional camp programming. Our staff will setup the field in less than an hour. We can accommodate groups of 25 players and we can rotate new campers in on usually 40-45 minute intervals depending on your schedule. Based on a typical camp rotation of 40 minutes the cost would be $10 or less per camper. We can adjust to meet your needs and budget. We also offer the option to come to our Gamepark in Belvidere, NJ. 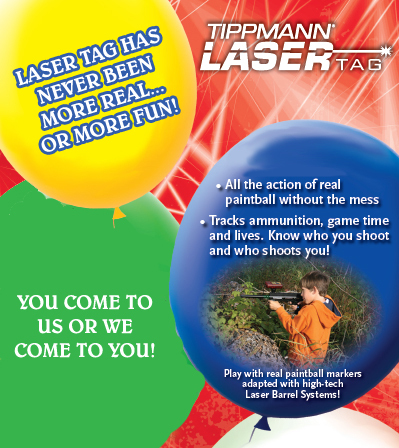 Call now to add Lasertag New Jersey to your summer camp activity rotation!